Automation solutions must be compact, scalable and flexible. S7-1200 CPUs are available as standard and failsafe versions. 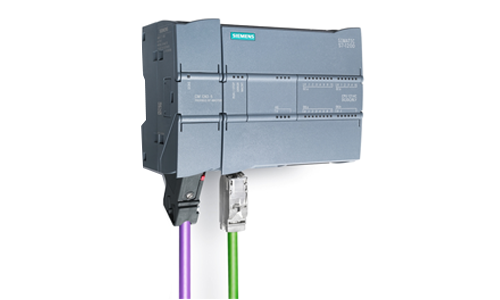 They are scalable in terms of their performance and are equipped with integrated IOs, inte-grated PROFINET interface for programming, HMI connections, distributed IOs and distri-buted drive architectures. The S7-1200 can be optimally adapted to your individual requirements by means of pluggable signal modules and communication modules. The new modular SIMATIC S7-1200 controller is at the core of our new offering for simple but highly precise automation tasks. The SIMATIC S7-1200 controller is modular and compact, versatile, a secure investment, and is perfectly suited to a whole range of applications.